I skipped a month for any updates on my blog. It's kinda a little bit hard for me to keep posting here like I've ever did before, because of my various activity during my profession education. But when I have free time, I would love to share anything, just like now. 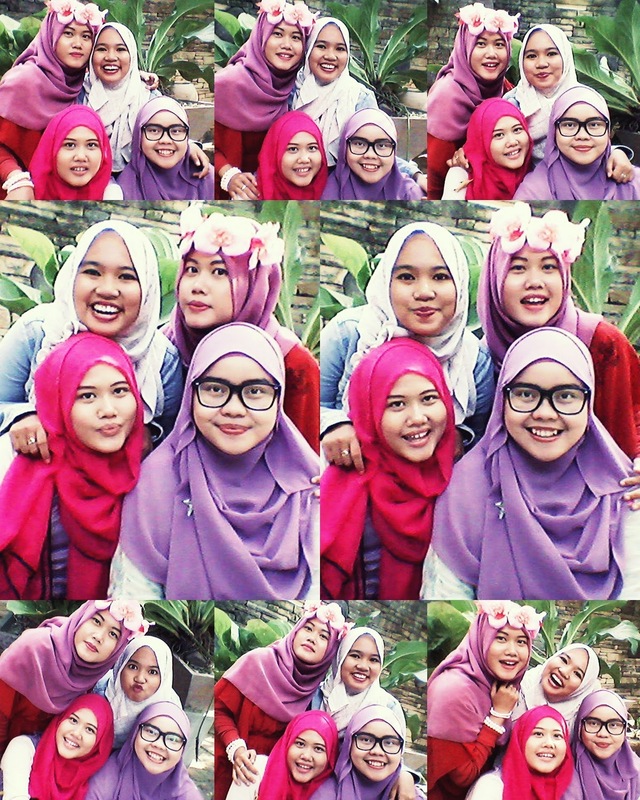 So, last Sunday I spent my free time with my sisters fillah *I used to call them so*. They are the twin sisters --- Nisa and Fisa, and also Echa. Honestly, our plan is going to some place around Malioboro but we didn't have space for parking area, so we decided to change our plan and went to another place in Parangtritis. 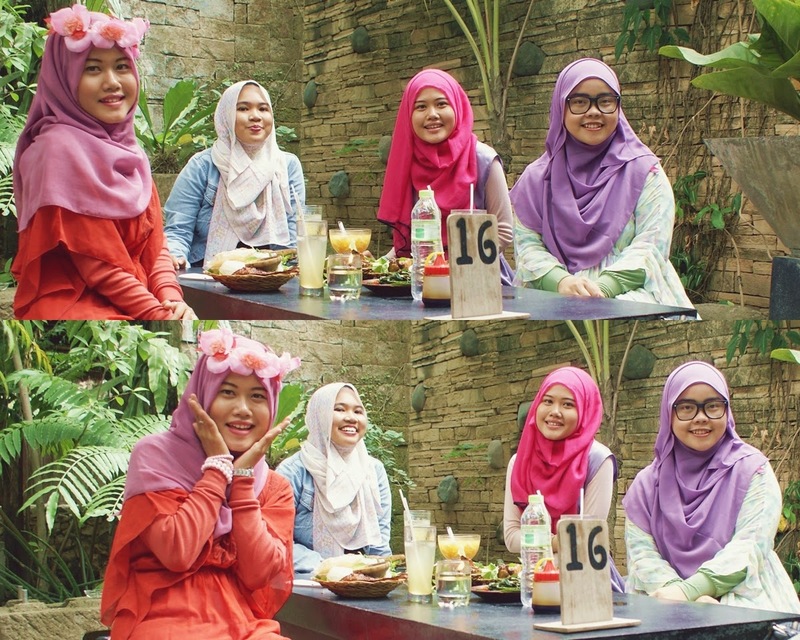 We went to Waroeng Pohon Omah Sawah (a restaurant which located in Jl. Parangtritis KM. 6, Yogyakarta). Alhamdulillah so happy to silaturahim with other muslimah, to keep in touch with them even though we rarely meet in person. Waah cantik-cantik semuanya.. Blogwalking.. Keep inspiring! in love with your dress,especially the color dear :) suit you well!